Xu Shu's non delay tools cannot be negated. All player's eight trigrams no long function. 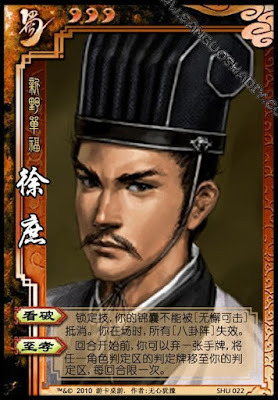 Once before he starts his turn, Xu Shu can discard a hand card to move any pending card to himself. "Penetrate" also cancels out Younger Zhuge Liang's "Eight Arrays".